If you don't already have some type of wireless audio system in your home, then you're at least considering one, right? It's a fair assumption, as this is certainly a hot topic amongst both audiophiles and casual listeners alike. Increasingly, people are looking for systems they can install themselves with minimal hassle and minimal wire runs. Further, people want easy access to not only their own personal music libraries, but also streaming services such as Pandora, Rhapsody, etc. 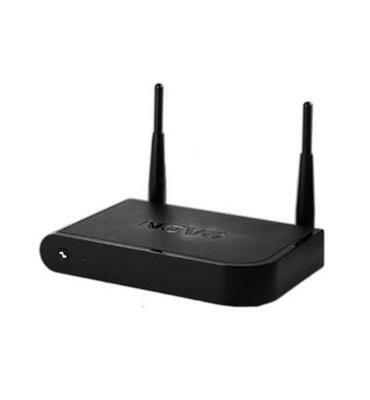 It's precisely in this niche that NuVo operates with its modular Wireless Audio system. The specific focus of this review is the wireless Gateway ($199), P100 ($479) and P200 ($599) players. NuVo also offers P3100 and P3500 wired players, which can be mixed and matched with their wireless brethren. 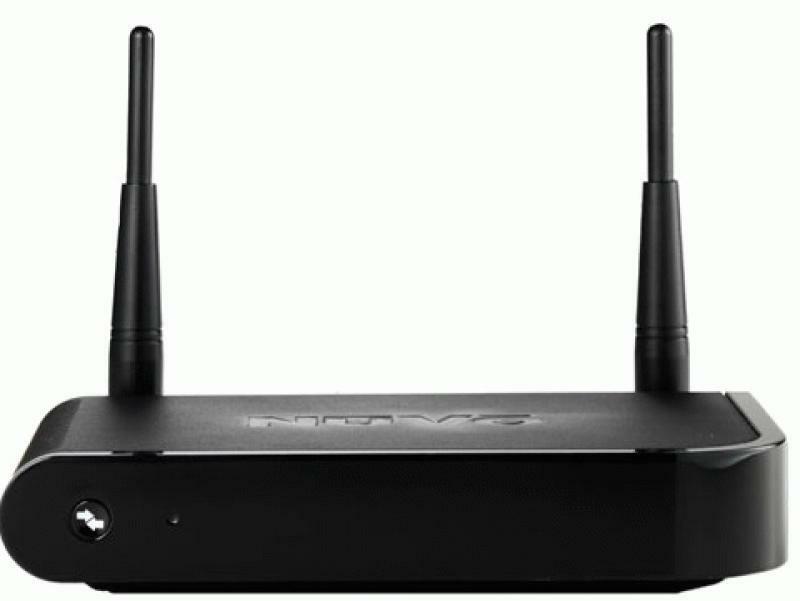 The Gateway connects via Ethernet to your home router and then basically creates a private network with the players, supporting a maximum of 16 zones. In terms of expansion, NuVo has engineered the system to ensure that, regardless of the number of zones you're streaming to, the signal will not degrade or be subject to any sort of compression. 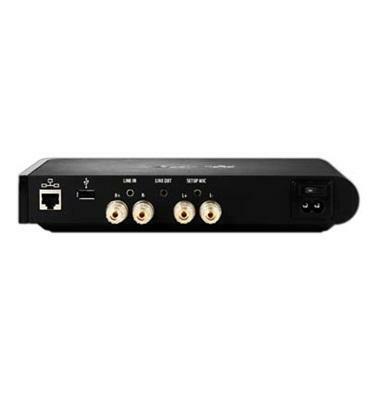 In terms of connectivity, the players feature USB inputs, 3.5mm line in/out jacks, and heavy-duty five-way gold binding posts for connecting speakers. The faces of the units are fairly basic, featuring volume control, an LED status light, and in the case of the P200 a Bluetooth button, as it features aptX Bluetooth capability. Each player features built-in amplification: the P100's power is rated at 20 watts per channel, and the P200 registers a much more stout 60 watts per channel. The system supports dual-band 2.4GHz and 5GHz WiFi and MIMO, which is a big asset in terms of providing uninterrupted streaming. The NuVo system supports multiple audio formats, including MP3, WMA, AAC, FLAC, WAV, and the wildly popular Ogg Vorbis. Also worth mentioning is the fact that the NuVo will play hi-res audio files up to 96/24 resolution, which is somewhat rare in the current crop of wireless music systems. NuVo also recently added a software update that allows you to stream music stored on your iPhone or iPad, a la AirPlay. It's a great feature, and it works flawlessly. And no need to pout, Android users, NuVo just announced a new update that will allow streaming for those devices, as well. Let me start by saying this: if you enjoy reading instruction manuals, this is not the system for you, as the instructions are almost non-existent. This can be a blessing and a curse ... especially if you're trying to configure your system without the latest firmware, which was the case for me (more on that later). The connections are simple: connect the Gateway via Ethernet to your wireless router, plug the players into the wall, and connect your speakers to the players. That's it, at least on the hardware end of things. In terms of software, there are free Android and iOS apps, which are thoughtfully designed and, at least in my experience, bug-free. The app guides you through the connection process, which was hassle-free ... at least for the Gateway. In terms of the Gateway and the app recognizing the P100 and P200 players, that was a different story. After much trial and error on my own, similar to refusing directions on a road trip, I decided to reach out to NuVo tech support. The tech, a knowledgeable and pleasant dude, explained that my review samples did not have the latest firmware installed. He sent me a link to the new firmware, which I put on a thumb drive and installed in each player. It was a fairly straightforward process and, once the players had the new firmware, they were immediately recognized by the system, and I was up and running. In my home office, I connected the P100 player to a pair of Definitive Technology Mythos Gem speakers. In my listening room, I connected the P200 to my reference Focal 836Ws. NuVo wisely includes a demo track in its app, so you can quickly test the system; it worked flawlessly out of the gate. In order to access your own music collection, you download the NuVo Music Share software to your Mac or PC, add the folders of your choice, and you're on your way. In my case, I added my iTunes library and a couple of hi-res music folders. Again, this process was simple and straightforward. Once done with that step, I now had access to my own library, plus TuneIn, Pandora, Rhapsody, and SiriusXM, which are all built-in. On the whole, you'd be hard-pressed to ask for more in terms of music sources. That's easy for me to say, as I don't use Spotify, which as of this writing isn't an option on the NuVo. Of course, if you're streaming from a phone or tablet to a P200 using Bluetooth, you can stream whatever you're listening to, including Spotify. Gotta love a good workaround. Click on to page to for the Performance, the Downside, the Competition and Comparison, and the Conclusion . . .